Carused.jp Blog Home » Professional Car Knowledge » Why Do Heavy Vehicles Use Diesel Engines? Why Do Heavy Vehicles Use Diesel Engines? After a refrigerator engineer invented the first-ever diesel engine, the technology has taken over various industries across the world. These days, we find the compression method used in huge trucks which have a high cargo capacity. Even when you look for trucks in a used cars online auction, you will find that majority of the options run on a diesel engine. Despite the popularity of diesel engine, many people still find it puzzling why most trucks around the globe use it. After all, in some countries, using fuel is associated with global warming. Heavy vehicles like trucks and trains need higher temperature and power for a quick ignition spark. In such types of vehicles, slow-combusting diesel has proven to be the most efficient fuel that can burn even at moderate temperature. No matter the size of the diesel engine, you can expect it to provide the greatest efficiency. Trucks and other bulky vehicles need a significant amount of force to run even at the slowest speed. Keep in mind that petrol burns faster than diesel. So, diesel engines can achieve a higher torque even at lower speeds. This is simply an essential requirement in any heavy automobile. Since petrol engines generate lower RPM, they result in quick fuel burning. Needless to say, petrol engines for heavy vehicles are simply not a practical option. On the other hand, diesel engines for trucks provide better fuel economy. You would not have to refill the tank as often as you would with a petrol engine. When bigger diesel engines are fitted to cars, automakers consider the vibration level and extreme compression ratio. On the other hand, weight and vibration are no problems for heavy vehicles, making diesel engines ideal for them. Since trucks have bulky and huge bodies, the vibrations are evenly spread out or even dampen them entirely. Aside from that, there are advanced diesel engines that can lower the noise, vibration, and harshness in small cars. This is also the reason why some automakers also opt for diesel engines in various small vehicles. The primary disadvantage of diesel engines is that they are expensive to manufacture and maintain. 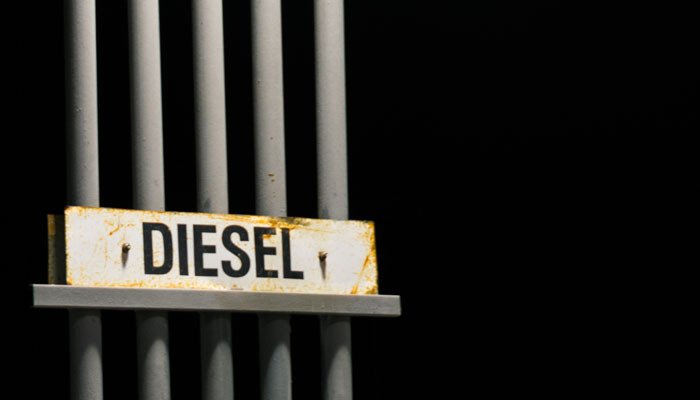 When importing a diesel engine vehicle, you have to follow the stringent requirements for emissions. So, it can be expensive to make the proper adjustments. For instance, if you’re going to buy a truck from a used cars online auction, you have to follow compliance requirements in Australia before you can ship your vehicle. Diesel engines may have been invented over a century ago, but the industry has not paid a lot of attention on emissions until recently. It is true that there are modern cars that use diesel exhaust fluid which reduces their engine’s emissions. However, not all recently manufactured heavy vehicles run on such exhaust treatment. What’s more, as per government regulations, DEF tanks must be refilled every 15,000 to 30,000 miles. It is also worth noting that older diesel engines can be challenging to start in cold weather. They have outdated glow plugs that need about 20 seconds to heat before they can start the engine. So, while a diesel engine is an ideal choice for heavy vehicles, you still have to deal with the disadvantages that come with it. Let's Review! HiAce Van History and Professional Use!